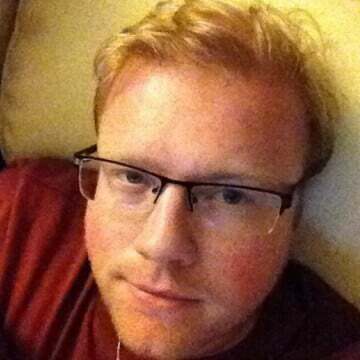 Strider is ranked in the 70th percentile of games scored on OpenCritic. Strider's not really the kind of game the cognoscenti get excited about. It won't be winning any awards or the subject of a load of thinkpieces, and that's because it's nothing more than a simple design executed near-flawlessly. It's limited in the same sense that a cat is limited by not being a dog. Strider is a great game and it gets me totally pumped; it looks incredible, sounds amazing, and is tonnes of fun. If I ruled the world this would be on billboards, and they would say very simply: STRIDER'S BACK. Criticisms aside, it's hard not to recommend Strider for those craving another Shadow Complex-like adventure. It's a highly enjoyable remake that with a bit more polish and interesting combat could've been something even more special. Although the game has some faults and the environments and graphics feel mundane, hacking, slashing, and overpowering foes feels great, like controlling a powerful ninja should. Fighting enemies is so damn satisfying, between the speed at which Strider can swing his sword, constantly swapping cyphers, flipping and dashing through the air, and tossing out his animal-powered abilities. It's such a great remake of a game that I personally have no nostalgia for. Strider is the perfect example of how to take an old formula and perfect it with modern technology. It looks and sounds like a AAA title, but it plays like an old classic with fine-tuned controls. I have very few negative things to say about it, and I don't know why it's seemingly flying under the radar right now. This is a wonderful callback to the original games that adds new ideas. Double Helix has really come into its own. Strider reminds me of a Shadow Complex with a much better combat system and a scaled-down exploration element. And that's perfectly okay with me. Match this with the Californian outfit's reimagining of Killer Instinct last year, and it would appear they know what they're doing when reinterpreting the classics. By adopting a Metroidvania-guise here, rather, gear-gating, Double Helix shows that it can in fact teach an old dog new tricks. A slick pastiche of '80s retro cool and modern gameplay, Strider is both faithful to its source material and still capable of finding its own identity. It's basically the raddest Saturday-morning cartoon you'll ever play. Whatever minor flaws Strider might have are very well hidden amongst exciting gameplay, great platforming, and epic boss battles. Well designed and fun gameplay compensate from some less than ideal control choices. An entertaining romp through the world, and at just the right length. A great value for the price and brings a little luster back to the storied game. Strider is a glorious comeback for the old franchise, once again proving that Double Helix knows how to breathe fresh life into classic series. While the boss fights are sometimes annoying, the visuals, the fluid animations, and the combat make up for that and once again establish Hiryu as a great protagonist. Strider is easily one of the best games that I've played this year. This is a title that reminds me of why I got into video games in the first place: for the pure joy of PLAYING. Strider is a fantastic game that I will keep playing and replaying for some time. Strider is a great example of how you can reboot an old arcade game with modern sensibilities and still keep it true to its roots. The fast action is sharp and responsive, and it mixes nicely with the grand setting. The adventure comes in at just the right length, and the various battles, while easy for series veterans, still excite in how they play out — though it would have been nice to have skippable cut scenes. Fans of the series and action-adventure gamers will have a blast with this title. Strider's back for his first adventure in more than a dozen years. As Capcom reboots go, this is one of the best. Double Helix has managed to capture what made the original game so much fun, while fleshing out the story in some very wacky ways. Unfortunately, too much of the game is spent indoors and there's a little too much backtracking, but Strider is a great start to what will hopefully be an ongoing series. Strider is a stellar example of how to remake a classic. It sticks to the original where it should, and modernizes where the classic formula can be improved. It has its flaws, but they are easy to overlook because the game is just plain, unadulterated fun. In fact, the only thing that would make the game more enjoyable is playing in an actual arcade setting. Strider is admirably true to the game that Capcom released on arcades in 1989 and will delight those who still hold a candle for the original, with its unaltered core gameplay and polished production values. With these qualities on side, it's easy to overlook the game's shortcomings and deem it worthy of the Strider name. A few minor presentation and traversal issues aside, Strider is a fun throwback with solid controls and style to spare. All in all, if you're a fan of the Strider franchise or just are looking for a fun to play action-platformer, I strongly suggest picking up the new Strider. Though it falls short of being fantastic, Strider is an impressive attempt to revive a classic Capcom franchise, one whose action, challenges, and player empowerment are more than worth experiencing. Fan or not, you needn't worry about getting your money's worth here. Strider strikes a good balance of old school coin-op difficulty and all the modern day trimmings. Double Helix has crafted a reimagining that plays as well as it is steeped in respect for its content material. Double Helix turns in the best playing Strider ever made, but its game lacks the vital visual panache of its predecessors. It has been over a decade since the masked hero has graced his own game, but Strider is back and better than ever. Double Helix has done a phenomenal job in bringing the futuristic ninja into the modern day by not only upgrading the visuals while maintaining the two-dimension plane, but adding an addictive and well-constructed progression structure to keep the campaign interesting. Strider successfully reinvents a classic. With its tight, super-fluid control, engaging and dynamic 2.5D presentation, and excellent balancing throughout, the game is destined to hook you from the outset. The less resilient player can and will die more than they have in quite some time; the good ones will be just as excited going back for more after the hundredth Game Over as they were at the first. The remake/reimagining of the arcade classic Strider adds Metroid-like exploration to already excellent ninja action. Strider is a high-speed, acrobatic action game with a hero that's fun to control from the first blade swipe to the final deathblow. 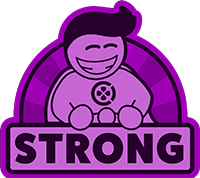 Clocking in at around six hours with dozens of cyber unlockables hidden away waiting to be found and giant cyber bosses just begging to be cut down, this cyber ninja comes out slicing and dicing in his return to the proverbial cyber stage. The best compliment I can give Strider is that it is a game that will succeed on its own merits and not by comparison to the original. There has been a lot of love thrown into this game by the developers, but more importantly they have also infused their vision of what the original game could always have been. It's exemplary work and while not perfect you really couldn't ask for a better Strider game. If you hear a strange rhythmic noise, don't worry, it's just me at the back of the room starting a slow clap. A super fun action platformer, Strider re-creates the fun of the original for the new generation. Well worth your time and money as a distraction until the larger AAA titles hit the stores. A cracking game, not without its flaws but a hugely enjoyable romp throughout. Variety in gameplay and an attempt at any sort of engaging narrative would've helped make Strider a flawless release. Strider is an unbalanced yet extremely stylish platformer, and the series' best game since the original. You will find some joy in the action and some sort of satisfaction in killing tons of enemies, but if you're looking for something with any rich substance to it at all, Strider may not be enough of a good experience for you. The game's gameplay structure and design is too unstable to make Strider great. Having said that, the nostalgia might be enough to hook you, and the $14.99 price tag might help all the flaws that Strider brings. Does Strider really do anything new? Not really. Strider doesn't do anything exceptionally well, but we get so few good Metroid-Vania style games these days that it's still definitely worth a play. On higher difficulties it will require skill, but otherwise Strider is a brainless exercise in platforming, exploration, and (button mashing) ninja combat. Remarkably, Double Helix has managed to nail down the classic feel of what Strider Hiryu is all about: athleticism, agility, and destroying everything in his path. At the same time, the game modernizes the design into something unique, even if it borrows heavily from the Metroidvania genre. Strider may have been gone for over a decade, but his return is more than welcome. Signs of greatness lie hidden in Strider that could grow if Capcom decide to offer someone the chance to evolve the reboot. For now, if you don't mind a world that's full of rather bland environments, feeling contradictory to the game's intense, blistering action, then jumping into the ninja boots of Strider is sure to supply a fun afternoon or two. A decent revisit of a fondly remembered classic, Strider gives its ageing source material a modern twist to solid effect. Beware though; if you've no patience for tough, pattern-filled, old-school boss fights, you may want to look elsewhere. Sadly, Strider falls somewhat short of the original. Despite its failings, though, it manages to be the best Strider game since that old coin-op. With a little more polish and creativity, this could be the start of something great. The mixture of old school, new school, and Metroidvania works surprisingly well – even if Strider's long-awaited reboot still feels slightly too safe. Strider is an enjoyable game but it's not one that particularly stands out against others of its type. It is cleverly designed, as this style of game must be, but not so much that it earns the right to sit alongside the genre's ageing greats like Symphony of the Night and it's not quite up to the complex replayability of modern classics like Shadow Complex. It's a decent game that generally looks very nice and will while away a few hours, but you won't be rushing to tell your friends about it and you might not want to return after completing it. Strider is basic fare to snack on between larger courses in the release schedule. Double Helix has easily attained its unambitious goals. Strider is more than worthy to bear the name: a slick, exacting and breathlessly hectic action-platformer powered by superb combat. Though botched 'MetroidVania' exploration adds tedious bulk rather than value, amplified by a grim lack of colour, arcade aficionados and challenge-seekers will be in their element. For its price, Strider has great value, especially if you can switch gears towards being more exploratory at the end. Otherwise, it's frustrating as heck to have the difficulty curve go from playing tag with some school chums, to enemies darting for your throat with the gnashing of werewolf-like fangs for your body's fleshy sustenance. Ninjas are lean meat, after all. At its blistering best, Strider is a joy to play – its silky smooth controls making it difficult to not feel like the unstoppable agent himself. It's a welcome return to a beloved franchise, but it falls just short of maintaining the momentum that's expected of it, and instead opts to slice its way into a new generation with some less than exhilarating gameplay additions. Strider is a liberating, free-form action platformer studded with frustrating callbacks to an arcade era better left behind. 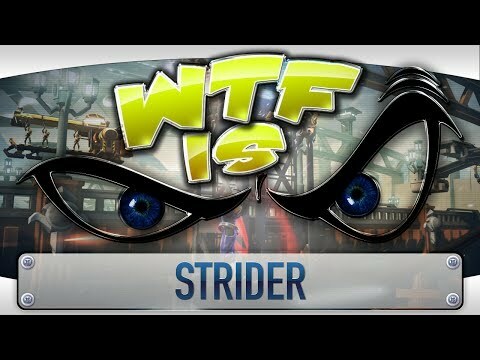 I didn't feel like I was experiencing a madman's vision when playing the 2014 Strider. It was more like a tempered salute. Yeah, I ran into the aforementioned mecha gorilla again. That was OK. And the final boss was kind of cooky, I guess. Strider wears its influences on its sleeve, but ultimately, this reboot doesn't bring much to the table beyond its stellar presentation. I don't feel the game worked very well as a 2d platformer when compared to games like Ninja Gaiden. There were too many times where the lack of a 3rd dimension made dodging attacks near impossible and the camera in general just got in the way of things. Strider is a good attempt at making a 2d game similar to the modern Ninja Gaiden games and would have been quite good had it not have been a 2D game. Double Helix made an admirable attempt at re-inventing Strider for the modern era with a new look and other amenities like online leaderboards. In some ways, it successfully re-captures the action of the older games, but too often it misses the mark when it comes to delivering a solid Metroidvania experience. It's a game torn between two personalities, and it shows. The new Strider is at its best when it's delivering arcade-style action moments, but sadly these come too infrequently and too late for its own good. Austerity, in Strider, has many benefits. But it also amplifies flaws—and this one may be too much. This retelling of the original Strider arcade game has a lot of cool moments, but a lack of meaningful challenges holds it back. Enjoyable, authentic, and oh-so-cool... when it doesn't break. Strider has a solid foundation. The formula is there, but it needs a lot of tuning. The climbing feature should have been better executed in regards to combat, and climbing gets in the way when the game requires players to hurry. The boss fights lack action, and while the last boss has lots of attacks filling the arena; the fight itself is just tedious. When combined with the aforementioned control issues the last fight becomes annoying. By the end of the game I was left with the impression Strider could have been a lot better. Still, this is an above average title for what Strider does do – provide action and wall climbing. Strider makes a great first impression, but really shows its true colors as the short title wears on. Little variety in the environments, a lack of challenge in combat, and a little too much handholding at times, outweigh the flashy presentation of this reboot.